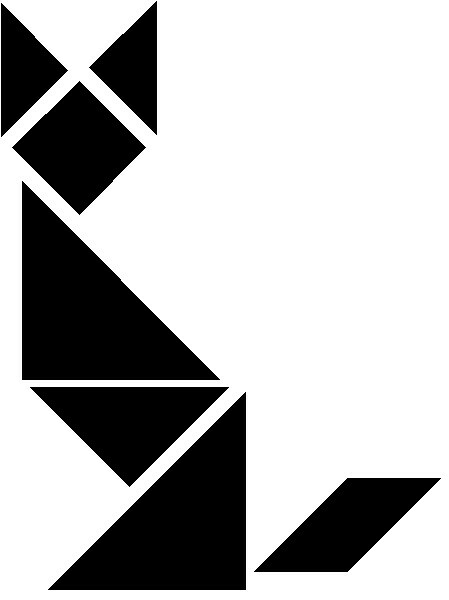 Tangram is an ancient Chinese game which uses 7 puzzle pieces to make all kinds of pictures you can think of. It’s a great way to learn geometry and improve your thinking skill. 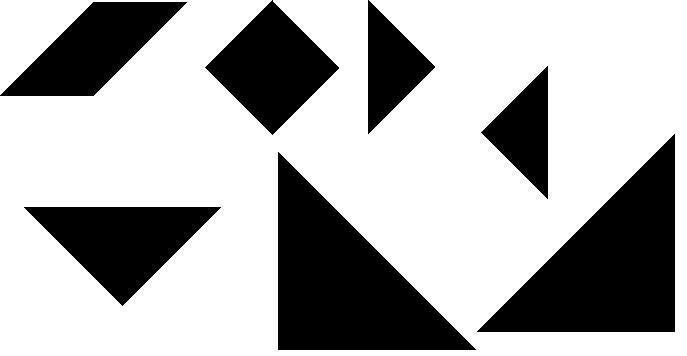 To play the game, print and cut out the following pieces and see if you can make the pictures. All seven pieces must be used. Try to figure it out before looking at the answer. Have fun! Click on Printables and cut out the Pattern pieces. The answer is also there, so try not to cheat. MyWeb3000.com provides fun activity ideas for families and educators. You'll find innovative paper plane designs, Chinese craft projects, snowflake patterns, tangram games, and much much more.